I really like this book, and therefore, I am sharing it with you. It is both interesting and useful -at least it is for me -hope so for you too. by noted author D. J. Conway is a book I often find myself re-reading in its entirety or browsing through again and again at least once per year. For me, it is a sort of comfort to immerse myself in once the earth begins to warm herself in spring or cool herself in fall. It marks a transitional period for me between the long, cold winter to the pleasant warmth of the summer sun. The book is filled with Nature, and the reading material makes me want to get out of the house and take part in Nature. 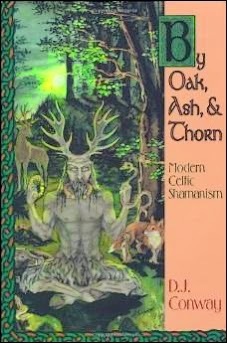 By Oak, Ash, and Thorn is a book about Celtic Shamanism. When I first saw this book, I was intrigued, as I thought the Celts had their own sect of teachers, philosophers and religious heads, the Druids. D. J. Conway provides a history showing that the common Celts practiced shamanism. This is a very positive book by a well-loved author that focuses on alternative methods of self-healing and healing others. It is really about spiritual growth and development and helps us re-connect with Nature. It is fabulous reading material for anyone seeking or curious about spiritual enlightenment. A Note on the Cover Before we Get Started – The cover of the book is a marvelous work of art by Anna-Marie Ferguson depicting the Celtic God Cernunnos, the God of Nature, also called The Horned God of fertility. Ms. Ferguson’s expression of Cernunnos is very well done, as he is often depicted with antlers of the stag and a horned serpent. All of the details of this cover image are in line with Celtic mythology and Celtic shamanism. One of the things I like most about this book is that it is a very thorough examination of Celtic Shamanism and shamanism in general. The author first introduces the reader to shamanism in general. Shamanism is defined and reasons for why shamanism of the Celts versus other shaman practices found in other cultures may be appealing for the reader. For me, I find Celtic shamanism is appealing simply because my ancestors were once Celts, as I have an English, Irish, and French ancestral heritage. Ms. Conway also explains to us why shamanism must be modernized and not stay stagnant through time. Most of all, the reader is taught that shamanism is about healing oneself first and then healing others. The ethics that go with the role of a shaman are deeply discussed. The beginning of the book is rich in Celtic history explained through legends and stories of old. The Celts mostly did not write things down. They partook in an oral tradition of passing down their culture to the younger generations. Most stories and histories that were written by the Celts were destroyed. So, any written history saved in books, such as this one, is welcomed. Along with all the wonderful legends and history, the book is also filled with practical teachings of how to become a shaman. The one theme that stands out throughout the book is the importance of healing oneself and the role of healing others. It really is a beautifully well put together kind of self-help book. For example, there are meditative traveling teachings and guides on how to retrieve shattered parts of a soul, and another about how to re-align your energy light centers (chakras). There are many more. I use these two examples because they personally appealed and were helpful for me. The book is divided into three primary sections of which are Part One: Oak, Part Two: Ash, and Part Three: Thorn. Trees were very sacred to the Celts. One could not discuss or practice Celtic Shamanism without talking about trees. Each tree had its special meaning. The oak symbolizes healing and protection along with prosperity and luck. The ash tree represents prophecy, prosperity, and protection and is also recognized as The World Tree for the Celts. The Thorn tree, which is the Hawthorn tree, symbolizes fertility and growth. It is associated with happiness and thought to be sacred to fairies. The hawthorn tree is thought to help us experience spirituality and encounters with elemental beings. I think it’s clever that the book was organized in this way. Below, we will take a closer look at each section of the book. Very little has been unified into one solid resource about the Celts and their shamanic practices. 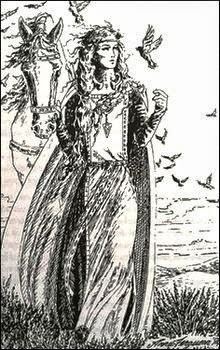 If one is interested in Celtic history, she will often become acquainted with topics about the Druids and Bards, but not of the common Celts. D.J. Conway begins her book with this notion. She shows through legends and the remaining written history that the common people also experienced spiritual enlightenment and practiced shamanism. Because very little of this is written and published today, she set out to write her book feeling that those of us with a Celtic ancestral background may be more inclined to connect with our ancestors’ spiritual growth and practices. This works for me! With my Celtic heritage, my interest was surely sparked. After the reader is introduced to legend and history and what it means to be a shaman, the reader is then introduced to practical exercises in meditation, working with our light centers (chakras) and the beginnings of Otherworld journeys. D.J. Conway teaches us through meditation and then with literal journeys to the Celtic Otherworlds. It’s actually quite fascinating and vivid. By Oak gives us a glimpse of the Upperworld, the Middleworld and the Underworld. Part two gets into the real heart of shamanic training. The Celtic shamanic worlds are examined further. The author shows us through meditation exercises and real journeys within to travel to the Celtic Otherworlds, the Upperworld, Middleworld and Underworld. The meditation exercises and journeys are very relaxing and filled with positive energy. Personally, I believe these exercises take you to the most beautiful places one could ever find. D.J. Conway then gives a thorough portrayal of shamanic tools that are both needed and helpful to the shaman during Otherworld journeys. Each tool is taken from Celtic history, and the importance of each tool is explained. As tools usually are, the shamanic tools all have a practical, helpful use. For example, a rug to lay or sit on while in meditation offers a tangible connection between the physical realm and an Otherworld. Also, a crane bag worn around the waist provides storage for tangible items that are used or found in the Otherworld. One more example is a natural hide drum or a CD of pleasant drumming music, a tool to help the shaman journey into meditation or the Otherworld. In Part Two we also learn about the labyrinth. I have completely walked a labyrinth once. It was a simple labyrinth created using white spray-paint on grass. I was at a peace fair. I had never been to one. So, I was curious and wanted to check the fair out. I noticed a person or two here and there walking the labyrinth. I decided to try it. I was amazed at how long it actually took to spiral all the way in and then spiral all the way out. It was a neat experience, and I recommend trying it for yourself. One really does go into a meditative mode while walking the labyrinth. Lastly, in part two, the reader learns about Otherworld beings and is taken on a vision quest. By Oak ends with learning about the Shadow Self and the shattered soul. These two aspects are wonderful for self-help spiritual growth and healing. By Thorn delves into many practical training topics. A lot of useful information is brought forth in section 3. Now, that we understand what it is to be a shaman and have taken our first journeys into the Otherworlds, the reader is now ready to be introduced to the details of Celtic magick and what it all means. In this part of the book, we learn about Celtic divination through stones and the Celtic Ogam alphabet. We learn about the elements, their meanings, and how to incorporate them into our work. We also learn about the importance of trees and animals and how to connect with them. Just as with the other two sections of this book, section three is again filled with meditation exercises. This is one of the reasons why I like this book so much. First we are given the education and then immediately, we are asked to participate and use the material right away. It’s really sort of a workbook without the blank lined pages where you write as one does in a workbook. Author D.J. Conway is from Oregon and has an Irish-North, Germanic-Native American ancestral heritage. She has been studying paganism and the occult for well over 30 years. She is also the author of several other books dealing with spiritual development through pagan traditions. What is the Protective Evil Eye? What is the Evil Eye of Envy? Tree of Enchantment Hanging Glass Ball for Winter - Love it! Music of Trees - What Tree Rings Sound Like - It's Eerily Beautiful! 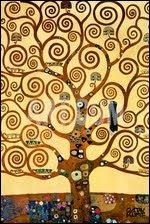 Follow Melanie's board Tree of Life Meaning on Pinterest. Beautiful Glass Art Creations to Protect Us at Home - Bottle Trees, Evil Eyes and Witch Balls What is the Protective Evil Eye? What is the Evil Eye of Envy? By Oak Ash and Thorn – Celtic Modern Shamanism – A Book Review Tree of Enchantment Hanging Glass Ball for Winter - Love it!